No need for ssdtPRgen.sh generated SSDT.aml for any CPU Haswell and newer. Only requirement: SSDT-XCPM.aml or SSDT-PluginType1.aml or config.plist/ACPI/SSDT/Generate/PluginType=true. Pixel Clock need to be enabled to support 4K resolution. Use this patch. 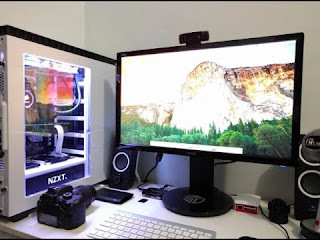 Turn on your Hackintosh. You should see the Clover Bootloader. Note: Now we are going to edit this file and compile it back again to use it to load with your system later. It is really important that you don’t make mistake here. You can click on “Compile” to check if you extracted the DSL files correctly. Warnings doesn’t matter but errors do. If you got an error here it means you disassembled the files wrong. Now there are many edits which we are going to do with this file. After each one you can click on “Compile” to check for errors. - Open SSDT-15*.dsl, SSDT-5*.dsl and do the same. The SSDT's with an "x" in them are dynamic so leave them out. - Go to the “origin” folder on your desktop and copy the “SSDT-*.aml” files (the ones without -x that you haven’t modified) to your SSDTs folder. I have attached EFI.zip for reference. aren't amd cards better for hackintosh?